Mike has been invited to speak on a panel at the Labor and Working Class Historical Association (LAWCHA) National Conference in New York City, June 7-9, 2013. Meeting in a year in which surging corporate power has threatened both unions and democracy as we know it, the conference will focus on how varied groups of working people have built the solidarity needed to challenge their employers, each other, their communities, and the state to seek justice and improve their lives. The panel, “Detroit, I Do Mind Dying”, will be moderated by Dan Georgakas and Marvin Surkin, co-authors of a book by the same name. Mike’s topic is: The Immediate Impact and Long-term strategies of the League of Revolutionary Black Workers. 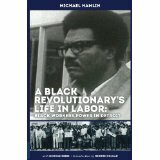 We are delighted that Haymarket Books has agreed to exhibit Mike’s book, A Black Revolutionary’s Life in Labor: Black Workers Power in Detroit. This will be our first trip since Mike became ill three years ago. We are very excited about this opportunity. 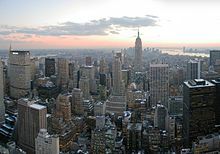 Manhattan, here we come! You may purchase Mike’s book on our website: www.againstthetidebooks.com/books/. Follow our blog by clicking “follow” on this website. Visit us on Facebook: Against the Tide books. This entry was posted in Uncategorized on May 24, 2013 by joanncastle.